"Open box item. Excellent like new condition." MG-C24 Ultra-thin luxury dual-use massage cushion based on humanistic design. It has features of kneading and massaging to eliminate fatigue. It offers massaging speed options of strong, medium and weak, so it feels like being massaged under professional masseurs. The New 3Q MG-C24 cushion with high flexibility synthetic leather allows to reduce shock on the vertibrates while driving and avoids backache caused by continuous seating conditions. This can also be used in the comfort of your home in a living room on your favourite recliner. Unique function of Up and Down, which reproduces the mixing massage and perfectly removes voltage from the muscles of the back and neck. Three kinds of kneading massage travel up and down all your back. 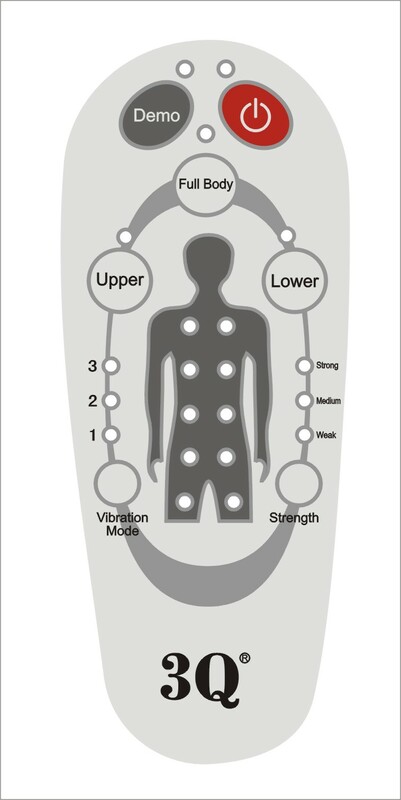 Professional vibration massage on the point of your thigh. Easy to be tied on many kinds of chairs. Both indoor and car use. Equipped with a small pillow. Can be plugged in at home or in the car, cigarette lighter adapter is included. Click the button below to add the MG-C24 Luxury Dual Massage Cushion UVG to your wish list.